Process controls are a critical aspect of today's bioprocessing. We in ARTeSYN® deeply understand that. Thanks to extensive experience in engineering and manufacturing single use solutions we have the know-how to create control panels precisely engineered to meet end-user needs. Single Use technologies require controls specifically designed and tailored for Single Use applications. One of ARTeSYN®’s core competencies is to automate single use systems. 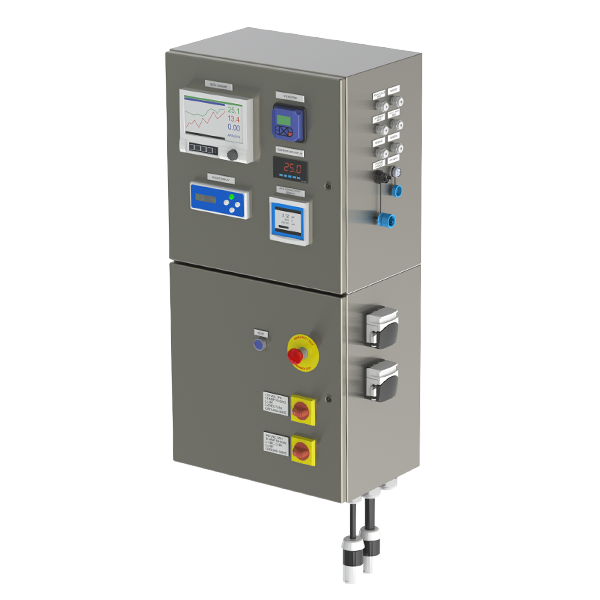 Whether you need to simply control your actuated pinch valves and pumps, make your single use mixer smarter, or even a full-blown control panel and validated automation software for your single use filtration systems - we can design and build it for you. All industrial control panels manufactured by ARTeSYN® Biosolutions are UL and/or CE certified and RoHS compliant.